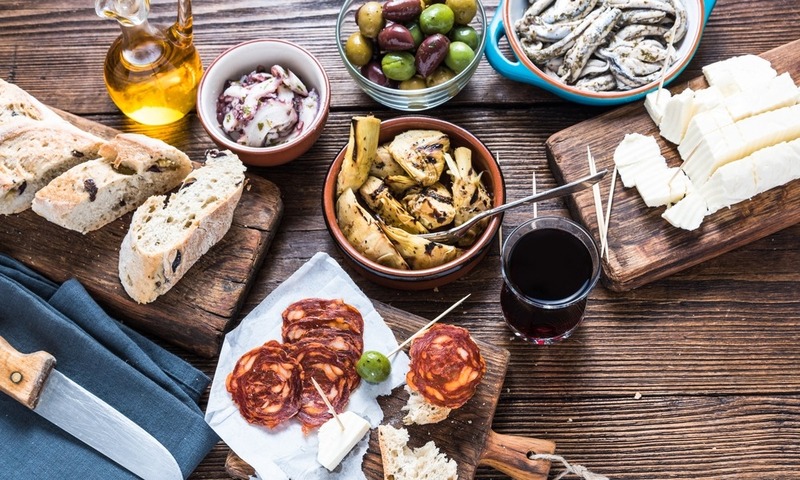 Spanish food and drink is renowned across the globe, and is characterised by its use of paprika, olive oil, seafood, ham of some kind, cheese and lots of variation depending on where you are in the country. Lunch is the most important meal of the day in Spain, and will usually be three or four courses. 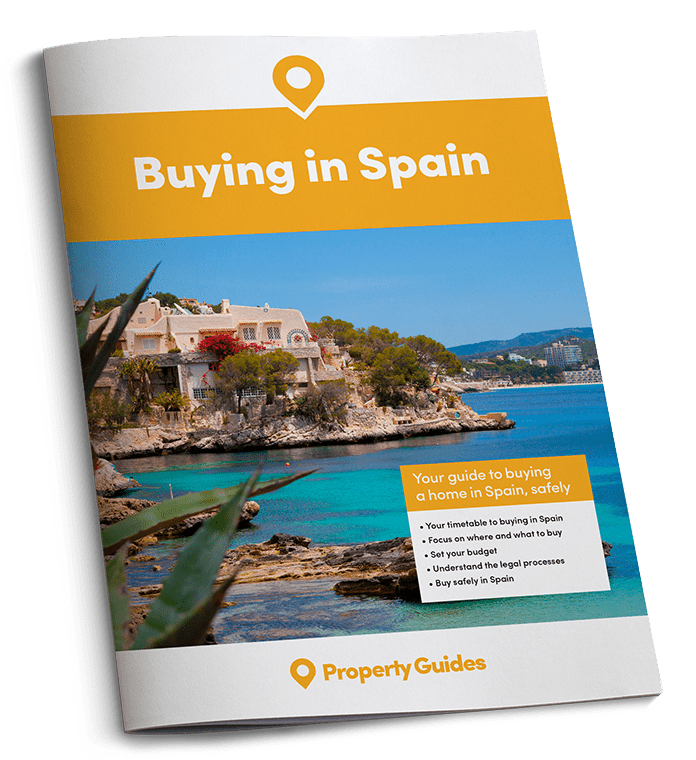 Lunch is the most important meal of the day in Spain – this will usually be three or four courses, beginning with a choice of soup or several dishes of hors d’oeuvre, followed by a fish or egg dish, and then a meat course with vegetables. Pastry, custard or fruit is served as a dessert, followed by coffee. Wine is always part of the meal. Spanish tapas is renowned around the globe and usually consist of a variety of dishes. Tapas very much varies between regions, and reflects the different ingredients grown there as well as the different lifestyles. Even the name is different in some areas, and in some places tapas will be known as ‘ración’ or ‘pintxo’. However, standard tapas dishes will usually include the following: albóndigas (meatballs), traditional Spanish Chorizo, croquetas (small fitters of thick béchamel sauce with ham, tuna or cod), gambas a la plancha (shrimp grilled in their shells), jamón ibérico de bellota (air-cured mountain ham from Iberian pigs), jamón serrano (thin slices of air-cured mountain ham), morcilla (cooked slices of spicy blood sausage), patatas bravas (deep fried potato with spicy paprika aioli), pimentos rellenos(skinless red peppers, usually stuffed with tuna or cod), queso manchego (slices of manchego cheese), and tortilla Española (thick omelette with potato). Water is safe to drink on all major cities and tourist resorts, but it is still usually a good idea to drink bottle water. Sparkling water is agua mineral con gas, and still water is agua mineral sin gas. Coffee is very popular in Spain; this is served much stronger than you may be used to in the UK. Tapas very much varies between the regions, and reflects the different ingredients grown there, as well as the different lifestyles. Beer is not native to Spain but can now be found everywhere – popular domestic brands, such as San Miguel, all over the world. Wine is a large part of Spanish cuisine, and this includes sherry (jerez). Sherry is drunk before dinner and is extremely popular. Spanish table wines can be excellent, and of course Rioja is drunk worldwide. Other well-known wines include the Valdepeñas, from Castille, the Ampurdàn of Catalonia and the Montilla of Andalusia. Local sparkling wines (Cava) are also popular – Freixenet is drunk across the world. Sangria is of course the most well known Spanish drink – this is a refreshing red wine punch that also includes oranges, lemons, seltzer and sugar, and in some cases, brandy, which is another popular alcoholic drink in Spain. You will find that meal times are slightly later than you may be used to in the UK: Breakfast takes place between 8am and 10am, lunch is between 1pm and 3.30pm, and dinner is between 8.30 and 11pm. Most restaurants are open all day, especially bars and cafes; here you can have tapas, appetizers and ‘combination meals’ (platos combinados). Many restaurants close on Sundays, but not usually in the large tourist areas or the big cities.